Although it is still quite warm, autumn is clearly on its way. Last week, I cleaned out the closet, put away the summer clothes and brought the winter clothes up from the basement. 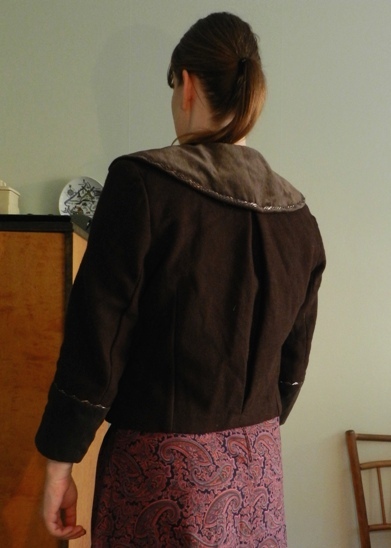 And there it was again: that nearly-finished jacket that I started on in the summer of 2008 and that I failed to complete before the weather turned too cold to wear it outside. 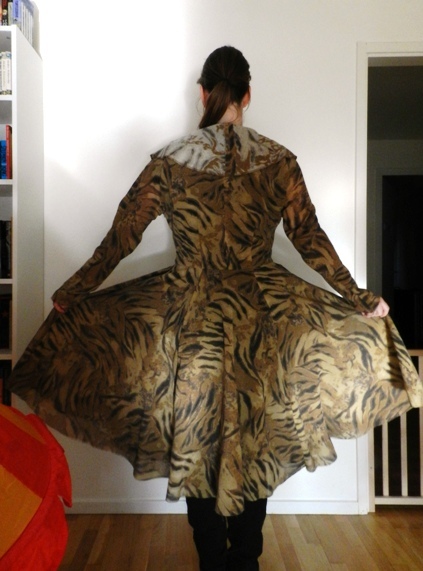 All that was left to do was to sew on the ornamental buttons and hem the lining. 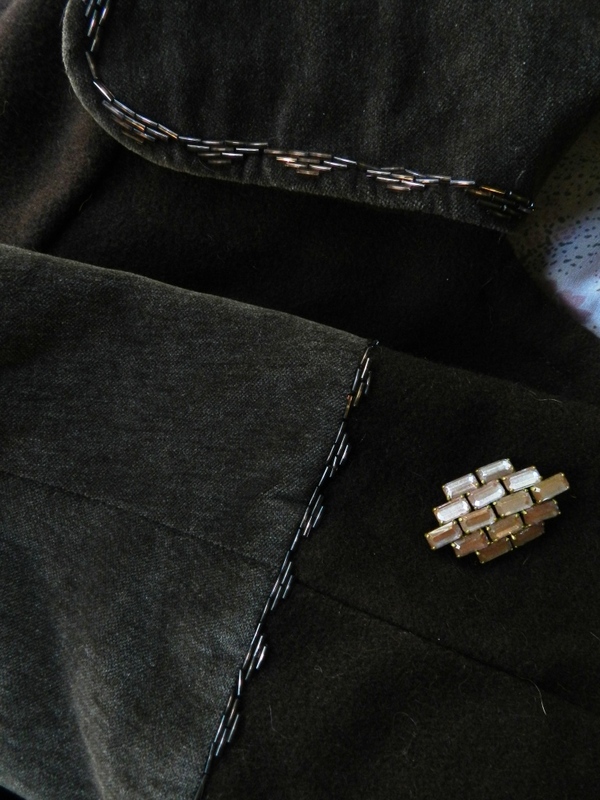 The buttons were, in fact, the main obstacle in finishing, as I only had four suitable buttons instead of six and I could not decide on how to place them on the jacket. Lame, isn’t it? I should also mention that I was unsure at the time about how to wear the jacket and whether it fitted my style. Knipmode October 2007, no. 5. 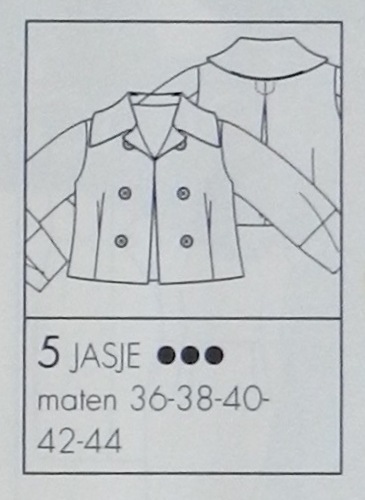 The “kort jasje” is pictured several times in the magazine, here next to the Ferretti jacket it was modelled after. Embarrassed at my indecisiveness, as well as at spending so much time on something I was not going to wear, I stuffed the jacket in a plastic bag that was moved from one closet to another. Over the years, in my mind the jacket shrunk and became this impractical super short thing with elbow-long sleeves that would leave my underarms freezing. 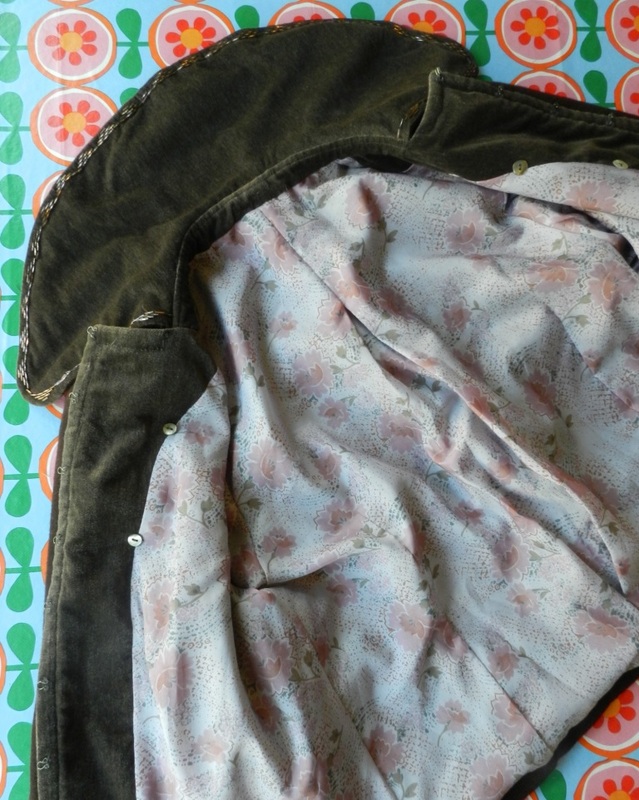 As this is the year in which I aim to complete things – both crafting- and non-crafting-related – I picked up the jacket, tried it on and immediately felt motivated to finish it. First of all, it was not as tiny as I believed but covers enough of my arms and upper body to be snug and warm. It is also quite roomy, so I can wear I sweater or cardigan underneath. The most important thing, however, is that I got some ideas on what garments I could pair it with. 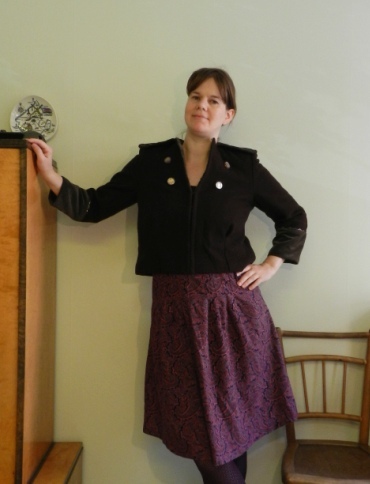 Here I am wearing the jacket with a skirt I made five years ago, also from a Knipmode pattern (October 2009, no. 7). 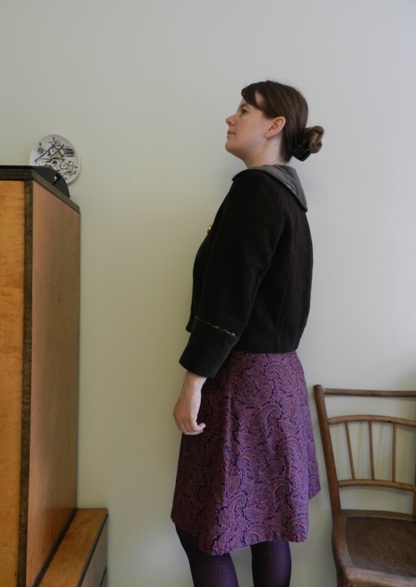 The skirt does not fit me as well as it used to, but I still really like the paisley fabric. Now let’s take a closer look at that pattern: no. 5 from the October 2007 issue of Knipmode, the Dutch pattern magazine that I subscribed to at the time. Many of the Knipmode magazines I have from that period feature these short, loose-fitting jackets that have a distinct vintage feel to them. To be honest, I may have chosen this particular pattern because it features a hook and eye closure. The buttons are purely decorative. 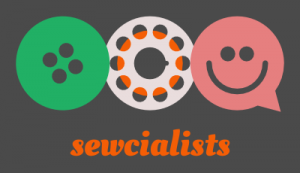 I dreaded making buttonholes before I bought my current sewing machine, although sewing on ten hooks and eyes was not as fast and easy as I imagined. This is a very well-drafted jacket, I think. 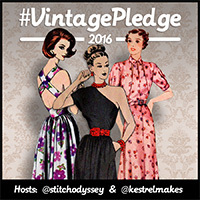 My favorite features are the back pleat (oh, how I love back pleats! ), the shape of the sleeves including the slightly tapering cuffs and the form of the collar. 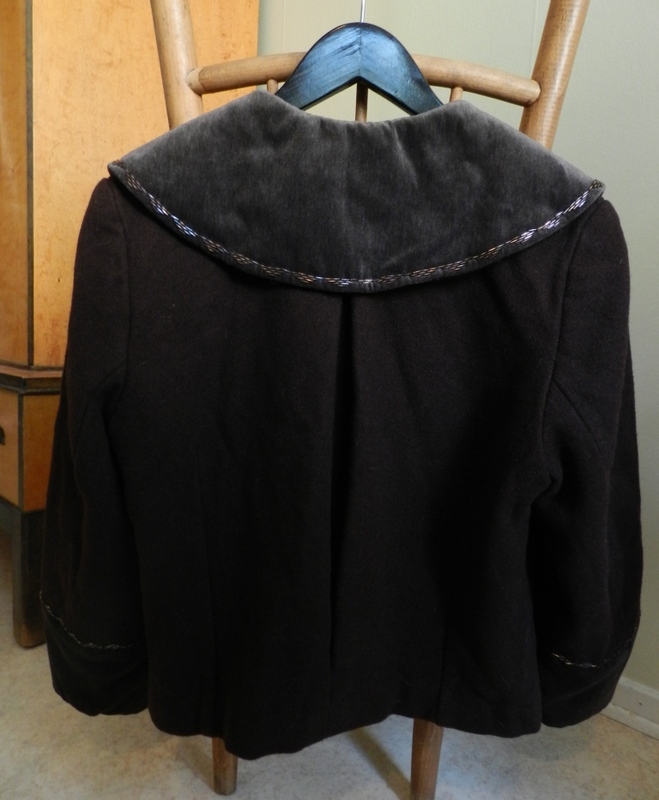 As I did not have enough of the brown boiled wool – I even had to cut the collar stand in two parts – I made the upper collar, stand and cuffs out of grey velvet. I don’t remember where I got the idea for the beading, but I probably thought the brown and grey looked a bit drab together and could use some sparkle. The memory of the time it must have taken to embroider the collar and cuffs has faded and, unfortunately, some beads have faded with it. Guess that’s what I get for using cheap beads. Obligatory side-view. 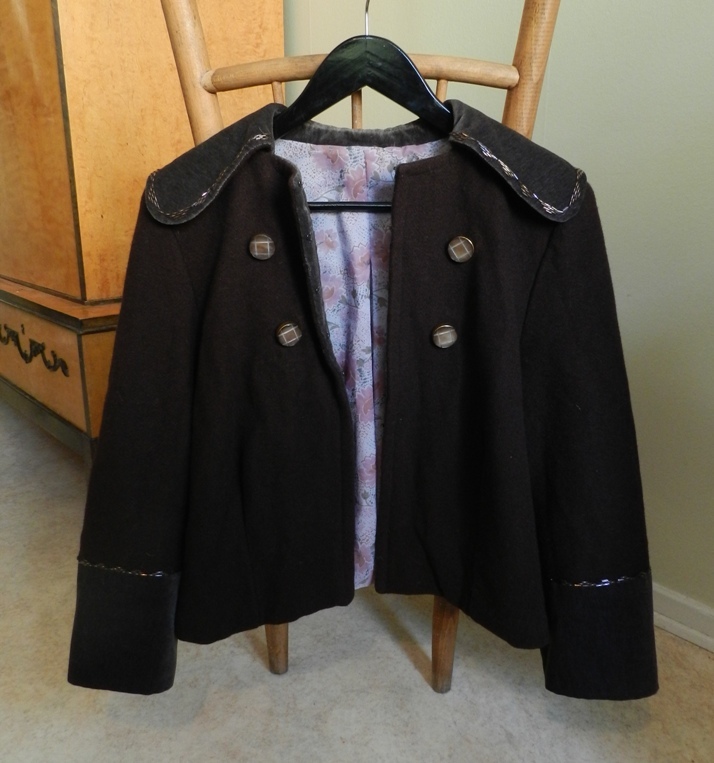 The wool, velvet and lining for the jacket, as well as the printed cotton for the skirt were all bought at thrift stores. This is the most elaborate thing I made so far in terms of combining fabrics and embellishing a garment. 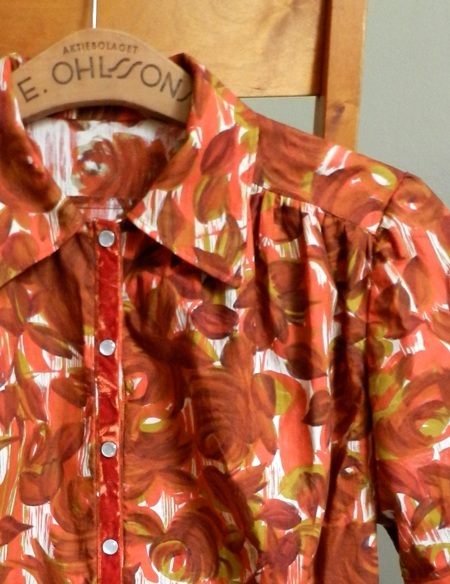 All fabrics were bought at thrift stores, while the buttons were taken from a vintage coat that I thought looked better without them. 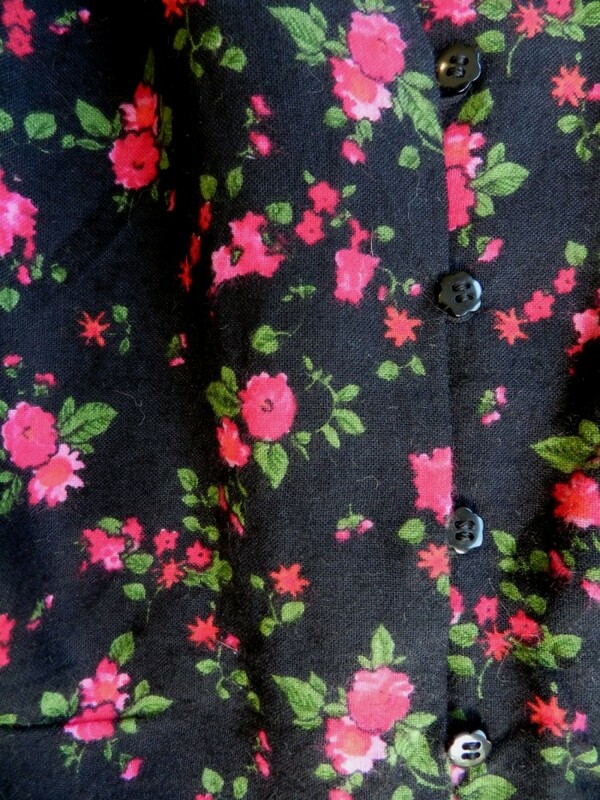 The inside of the jacket, showing the velvet facings and the pretty flowery lining fabric. After all these years I cannot name the source for the beading pattern, but if I remember correctly, I based it on something I saw in a book on fashion history or a historical movie. 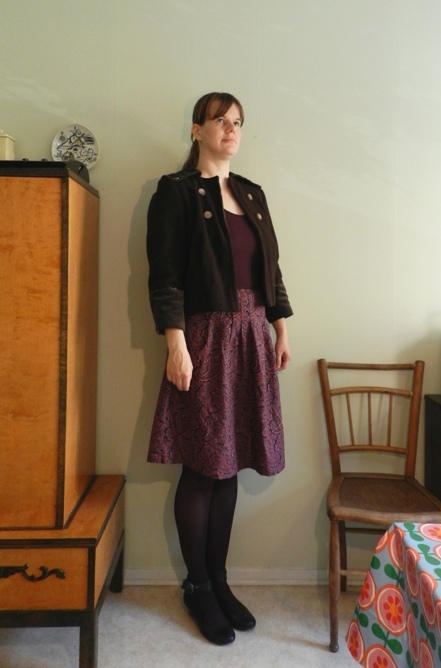 It fits well with a brooch I bought at the thrift-store some years after I started on this jacket. Detail of the (sometimes a bit wonky) beading next to one of my vintage brooches that displays a similar pattern. In reality, the colours of the beads and brooch are more alike. I considered leaving off the buttons and just wear this brooch. In fact, I am still undecided about the button placement, but haven’t been able to find any other fitting buttons in my stash. Well, I can always replace them if I change my mind and until then I will happily wear my jacket the way it is now! Yes, quite pleased with how this turned out after all, if I may say so myself. Thanks! Yes, I agree with your suggestion to move the buttons further down, especially after looking at the photographs in which I am wearing the jacket. I think finding the right balance can be difficult when looking at a flat garment or in the mirror, so I guess that is another advantage of having a blog to take pictures for, as well as getting advice from other sewers!